Our company is proud to be one of the few remaining French manufacturers still producing a wide range of threads locally. spinning factories in Lille, Roubaix and Tourcoing. 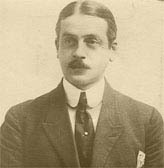 Joseph Toulemonde-Barrois and his brother in-Iaw, Christophe Barrois, took over the factory just before World War II and continued to develop the business. ln the 1960’s, the third generation arrived; Joseph Toulemonde, then Didier Toulemonde. They revived the factory, diversifying towards innovative textiles. These markets called for investments of modern sophisticated machinery which enabled new methods of production, amongst others, TFO twisters. 1980’s. To the contrary, the company’s strategy was to continue to modernize and diversify with one main objective: to supply high quality threads for the premium textile market. Consequences ofthis strategy have been to buy up Texmonde, a company specialized in sewing threads, in 1988. Then, two years later, they acquired Barrois­Toulemonde, specialists in lace and weaving threads. ln 2007, a new adventure began with the acquisition of Vrau. This company had a very important sewing thread activity for the clothing and leather industry but also a wide range of products for haberdasheries with well known brands such as Fil au Chinois and Laine Saint-Pierre. Today, the company has two production sites: the historical one at Marcq en Baroeul and Barrois-Toulemonde factory in Bondues, also on the outskirts of Lille. Our objective is to build on our savoir-faire, offering a wide choice g,t:..celouI’s-, high quality products and first class service.